This is submission. Third stage of jihad. The infidel dhimmi gov’t implements sharia blasphemy laws on its subjects so that Mohammedanism can rule without being challenged. Pro-fascist hate groups invited to Parliament to help define the Islamic supremacist propaganda term “Islamophobia”. “Islamophobia” is (also) an insult to the intelligence of all kafirs. It declares the overwhelming majority of infidels as suffering from a mental deficiency, an irrational ‘phobia’ for not submitting to Islam. Notice to readers: I don’t give a shiite whether Hitch coined that phrase or not, its accuracy is self-evident. Tell Mama was likewise invited to give evidence in her tweet. They are an “anti-Islamophobia” group which lost government backing in 2013 after being accused of inflating and misrepresenting statistics. UKIP London Assembly Members David Kurten was critical of the Baroness, telling Breitbart London: “MPs and Lords on the APPG should not be looking for feedback from groups which want to stop discussion or criticism of Islamic texts. UK police and the Crown Prosecution Service (CPS) frequently seek out, pursue, and prosecute claims of “Islamophobia” and anti-Muslim “hate crimes”, and the definition developed by the parliamentary group is likely to inform the law. In June last year, Prime Minister Theresa May described “Islamophobia” as a form or “extremism” comparable to Islamist terrorism. 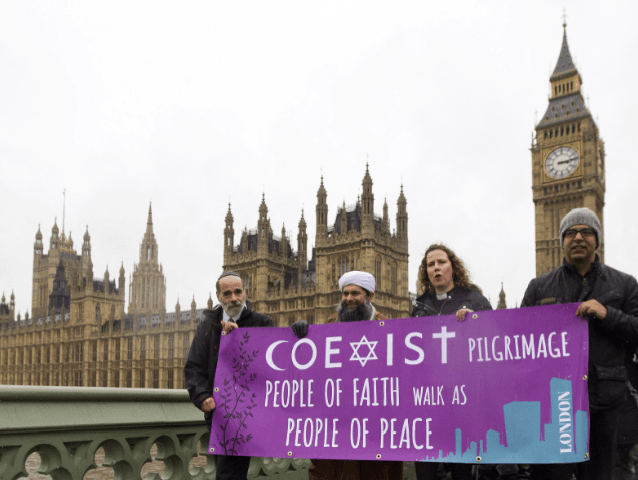 Recently, the APPG on British Muslims has made headlines for attacking a pro-Brexit group for an allegedly “offensive” anti-Muslim tweet and after publishing a report arguing that Muslims are not against Christmas celebrations. The well known Hitchens statement says it all. However, Hitchens didn’t coin the statement. It was a guy named Andrew Cummins. is the absolutely accurate term !!! All undemocratic ideologies are to be banned by Western nations. Judeo-Christian forms of theocracies had also to be banned regardless of their degree of Truth. When (if not if) the Kingdom of God will come, only then theocracy will be reliable and legitimate. History is full of injustice, abuse, crimes – and plenty loads of sxxt… A true Theocratic age is logically emplied for full justice to be done and correct ownership to be re-established. In the meantime however, based or false theocracies must be banned and treated as dictatorial ideologies. Even the Bible clearly indicated this is still an age of Grace and divine patience to allow all mankind to turn to God, as also to Justice and Truth. Islam doesn’t match such scriptural as logical and democratic parameters to be acceptable and suitable to advanced constitutions and genuine human rights. All forms of appeasement are in fact an offence of the true universal human rights and of the genuine principles of democracy and freedom based upon the rule of reciprocity between nations, individuals and religions. The increasing problem of the Western nation consists of the many traitors who have sold themselves to lie and easy money to fit the requirements and agenda of the “Brotherhood of the Global Cake” and its Master Designer if Luciferian stock.